It’s a CPU instruction. Yes, once again, we’re thinking about CPU-level stuff in order to get the performance we need (Martin’s famous Mechanical Sympathy). Basically it’s an instruction to a) ensure the order in which certain operations are executed and b) influence visibility of some data (which might be the result of executing some instruction). 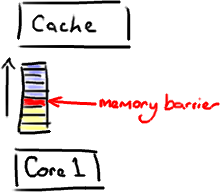 The other thing a memory barrier does is force an update of the various CPU caches – for example, a write barrier will flush all the data that was written before the barrier out to cache, therefore any other thread that tries to read that data will get the most up-to-date version regardless of which core or which socket it might be executing by. What’s this got to do with Java? 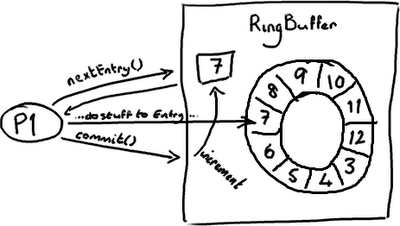 Now I know what you’re thinking – this isn’t assembler. It’s Java. So glad you asked. It’s about time I started drawing doughnuts again. The RingBuffer cursor is one of these magic volatile thingies, and it’s one of the reasons we can get away with implementing the Disruptor without locking. …and on the Consumer side? 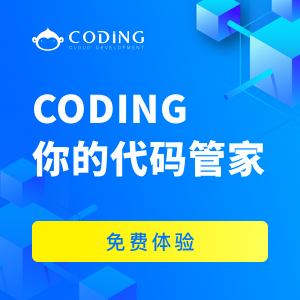 The sequence number on the Consumer is volatile, and read by a number of external objects – otherdownstream consumers might be tracking this consumer, and the ProducerBarrier/RingBuffer(depending on whether you’re looking at older or newer code) tracks it to make sure the the ring doesn’t wrap. Memory barriers, being another CPU-level instruction, don’t have the same cost as locks – the kernel isn’t interfering and arbitrating between multiple threads. But nothing comes for free. 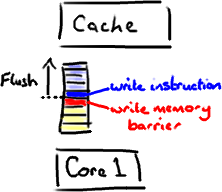 Memory barriers do have a cost – the compiler/CPU cannot re-order instructions, which could potentially lead to not using the CPU as efficiently as possible, and refreshing the caches obviously has a performance impact. So don’t think that using volatile instead of locking will get you away scot free. (You’ll note this is the “old” code and naming conventions, because this is inline with my previous blog posts, I thought it was slightly less confusing than switching straight to the new conventions). Memory barriers are CPU instructions that allow you to make certain assumptions about when data will be visible to other processes. In Java, you implement them with the volatile keyword. Using volatile means you don’t necessarily have to add locks willy nilly, and will give you performance improvements over using them. However you need to think a little more carefully about your design, in particular how frequently you use volatile fields, and how frequently you read and write them. PS Given that the New World Order in the Disruptor uses totally different naming conventions now to everything I’ve blogged about so far, I guess the next post is mapping the old world to the new one.